A number of consulting outfits claim to provide “Independent trusted advisory services”. These companies have technology managers as consultants, and they often come up with their own bias. Human bias does exists and hard to overcome. Technology executives often jump to solutions because of their experiences with certain technologies. These decisions sometimes are unsuitable to the customers and disrupts their business. These consulting companies have foregone conclusions about solutions that they would offer. They often rush to offer solutions (before completing the assessment process) - “one size fits all” kind of solution such as “MS office 365 business”. 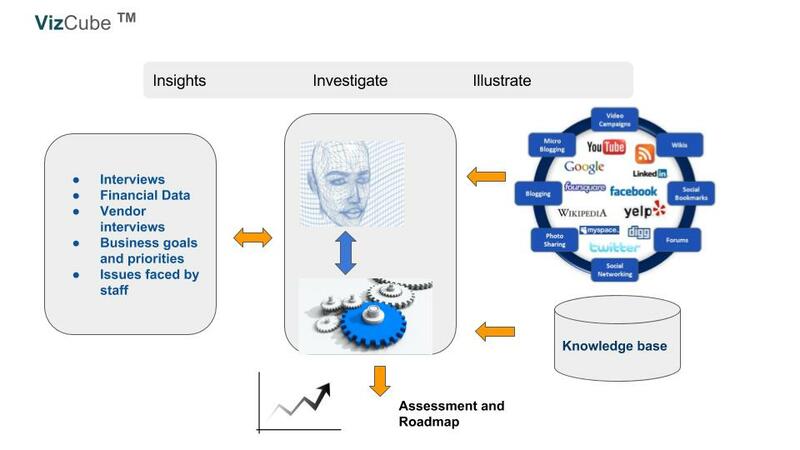 At Introviz we minimize this human bias through VizCube TM , which integrates facts and opinions collected through interviews at customer site (insights), CIO analysis (investigate) and interprets vast amount of industry data, technology articles and applications specific to various industry segments, expert opinions, security, compliance and risks. 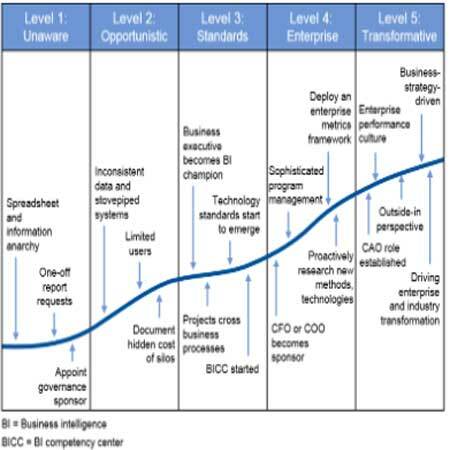 The result is a holistic health check of current environment - business and IT strategy to move the organization on the business maturity model. VizCube TM recommends specific strategies based on industry, people, processes and technology that applies to customer’s environment. VizCube TM is a big data analytic engine that uses our expert’s knowledge, insights developed through client interviews, and numerous industry data through research from various institutions. VizCube TM combines the power of human intelligence with thousands of knowledge database on technology and trends for specific vertical markets. Our CIOs have vast experience in industries from finance, nonprofits, healthcare, and manufacturing and distribution, we bring decades of industry knowledge and executive-level IT experience. Our goal is to provide the advantages of an experienced CIO to challenging situations. Our process leverages industry leading best practices around process execution, budgeting, project management, operational efficiencies, and improving IT decision-making.